If you do a lot of things with your tablet that you think could benefit from not having to hold your tablet in the hands, the SwingHolder is worth a look. 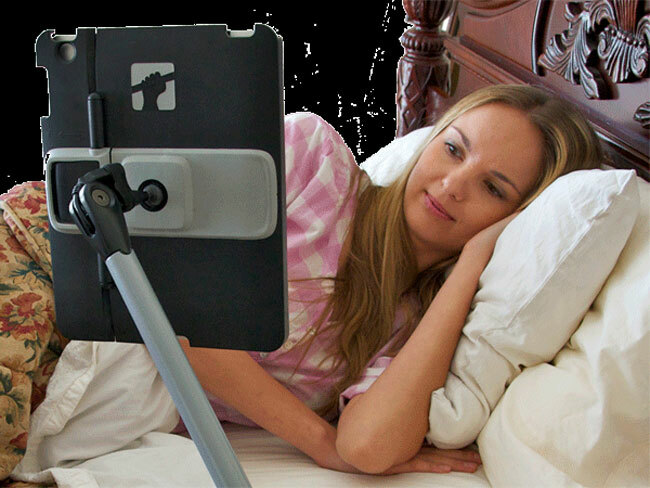 This tablet holder has a counterweight on the end of a long articulating arm. That counter weight and arm allow you to possession the iPad right where you want it and it will stay with ease. You can also adjust it on the fly if you need to. There are all sorts of uses for this thing from reading recipes while you cook to reading without having to hold the tablet. The SwingHolder is available now and sells for $239 making it expensive. It also appears to be bulky, but I can see use for the thing. The iPad is held in a rubber case onto the stand.